A house refurbishment with new basement floor in Stoke Newington. A large Victorian house in Stoke Newington, North London has not been refurbished since its purchase by the clients, ten years previous. During this period the house suffered from student occupation and was tired. The upper floors were bowed and only one bathroom served a four bedroom house. A full house refurbishment was proposed with the requirement of a full-width rear extension. A low engineered basement was added to the existing home as a viable solution to the client’s storage and utility requirements. A projecting window seat was a key feature to the rear extension design proposal. 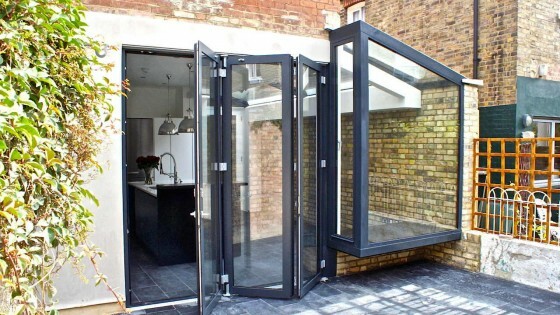 A fully glazed roof-light provided a bright modern kitchen overlooking a modest garden. A guest shower-room to the top floor landing provided a simple design solution without compromising the top bedrooms. A muted palette provided the most suitable background for the client’s extensive art collection.